SERVPRO of Santa Rosa County is a Veteran Locally Owned Franchise that has served Santa Rosa County and surrounding areas since September 1996. With the training and expertise to handle your restoration and cleaning needs no job is too small or large. 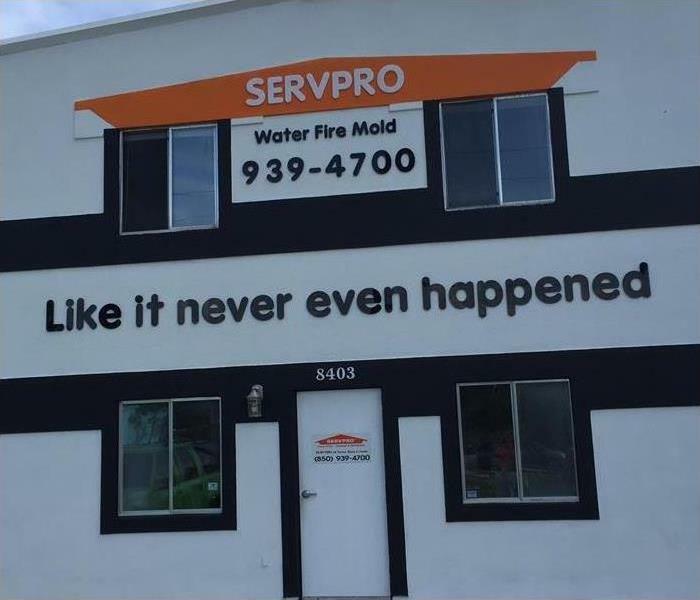 Here at SERVPRO of Santa Rosa County, we are dedicated to helping our customers through some of the most difficult times in their lives. When water or fire throw your life off track our team of professionals pride themselves on making it, "Like it never even happened.". We understand how stressful and overwhelming this situation can be. Here at SERVPRO of Santa Rosa County, we understand it's not just about the cleanup. It's about helping our community in their time of need and helping you every step of the way. We provide 24/7 service and the fastest response times in the area. Water and fire isn't our only area of expertise. Here at SERVPRO of Santa Rosa County, we offer a wide range of services including mold remediation, biohazard cleanup and specialized cleaning. From standard carpet and tile cleaning to post-construction and commercial cleaning as well as deodorization and duct cleanings, we offer services to fit a variety of needs. SERVPRO of Santa Rosa County is locally owned and operated, so we’re already close by and ready to respond immediately when you need us. We’re also part of a national network of over 1,700 Franchises, which gives us access to more resources for larger cleaning or restoration projects or major storm scenarios.